As 2014’s brilliant Morning Star, Venus shines brightly in the southeastern sky during morning twilight as seen from the Chicago area. (Click the image to see it larger.) The waning crescent moon appears to the lower left of Venus. 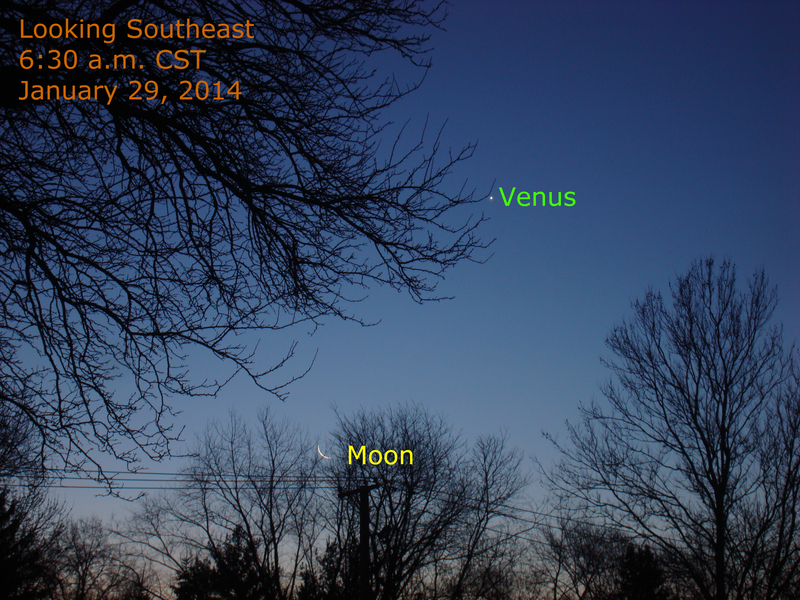 Read more about Venus as A Morning Star in 2014.